Testing your blood alcohol content (BAC) is very important in certain situations. 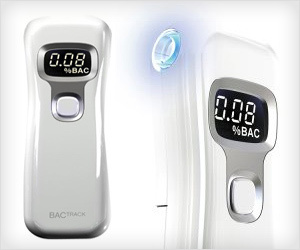 You can pro-actively check using BacTrack Breathalyzer. It has portable design and does not even require touching, inserting mouth piece and hence no saliva problem.